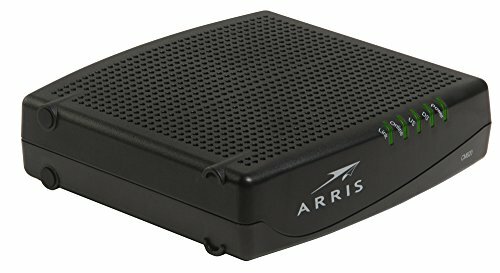 The Arris CM820A is one of the brand’s most basic models, but is still a DOCSIS3.0 modem having 8x4 channels and compatible with internet plan speeds up to 300Mbps. With two dual 96MHz wide downstream tuners to receive downstream channels up to 1GHz, these modems are normally handed out to subscribers of Time Warner Cable and Comcast. This modem also supports both IPv4 and IPv6, which you can connect to a router via the gigabit Ethernet port.